As I decompress after a marvelous weekend, complete with two sold out performances of La Bohème, many people have asked if it was a success. My answer is a resounding YES, but it has me thinking about how exactly we at the BCO quantify success. We’ve learned in our short history that you cannot please everyone, try as you might. We all know this…but it doesn’t mean that we’ll stop trying. Our audience surveys almost always have one patron complaining about the room being too cold, two complaining about it being too hot, three mention that the piano is too loud, four mention that it’s too soft. You get the idea. 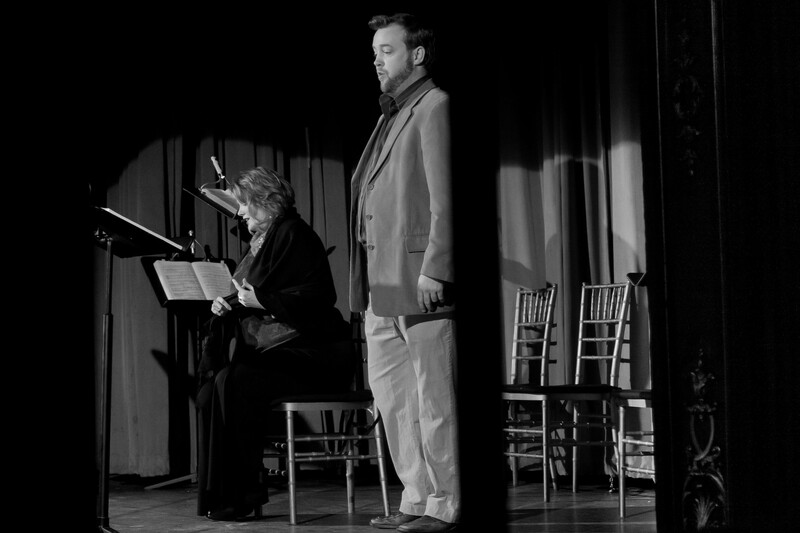 I love the fact that the Baltimore Concert Opera is fostering an atmosphere where the audience feels comfortable giving us feedback and helping us grow. Our surveys are incredibly helpful to us. We’re usually aware of most of the complaints before they come in (room too hot, too cold) and occasionally they’re beyond our control. Other times they ARE within our control, and feedback is very useful. Some complaints must be taken with a grain of salt, most demand immediate attention and correction. Do we look to the critics to measure success? One will refer to our quality performances, beautiful venue, infectious enthusiasm, while another will hint at provincialism and long for the days of yore with a grand opera company in town. One will love everything because they are in a great mood, had a good day, love the score and another might be caddy because they woke up on the wrong side of the bed. Who do we trust? There is great truth in the idea that any press is good press, so getting critics to come at all is a victory. Sure, we’d like all the reviews to be glowing, but this is not realistic, and although we’re very grateful for mentions in the press….this is not how we measure success. From an artistic standpoint, a success us is a high quality performance where everyone is prepared, everyone sings well, maestro is happy, and our board is happy. I can usually tell that we’ve had an artistic success when people that I know and trust ask me how we manage to present what we present, on our limited budget. The “where the heck did you find these folks?” question must be repeated several times for my ego to know that I brought in the right singers. From a marketing perspective, success is easily measured. Did you sell all of your tickets? This weekend, we sold 106%. We could not have been more successful without breaking any fire-code laws. Granted, Mr. Puccini did much of the heavy lifting with his brilliant score, but the marketing team did get the word out, and people did come. We can also look at the diversity of the audience, which pretty much blew us away this weekend. I wish we had surveyed the entire audience to come up with a median age, because my gut tells me that it was below thirty-five…which is something for an opera company to be pretty excited about! Being a non-profit organization, we also have to look at the development side of things in order to measure success. Ticket sales do not cover the cost of what we produce. Were new patrons impressed enough to become donors? Did existing patrons become more comfortable with your artistic vision, and with the way that you handled their previous support, that they were moved to increase their support? This is tougher to measure quickly, as donations tend to come in throughout the course of the year, but judging from the mailbox today…we can consider La Bohème a success on the development side. I can rest easy this week knowing that we had a success, based upon one simple post on our FACEBOOK FAN PAGE. A young lady who has never been to an opera, took the time post her congratulations, and tell us that she can’t wait for the next performance. The rest of it, although important, seems somewhat meaningless when compared to the thought that we exposed someone new to the world of opera, and that they’re coming back! If she does…that’s how we measure success! This entry was posted in Uncategorized and tagged Baltimore Concert Opera, David Cushing, Engineers Club, How do we measure success?, Jason Widney, John Pickle, La Boheme, Madeleine Gray, Opera Marketing, Penny Shumate, Ron Loyd, Suzanne Woods. Bookmark the permalink.